I read this article and found it very interesting, thought it might be something for you. 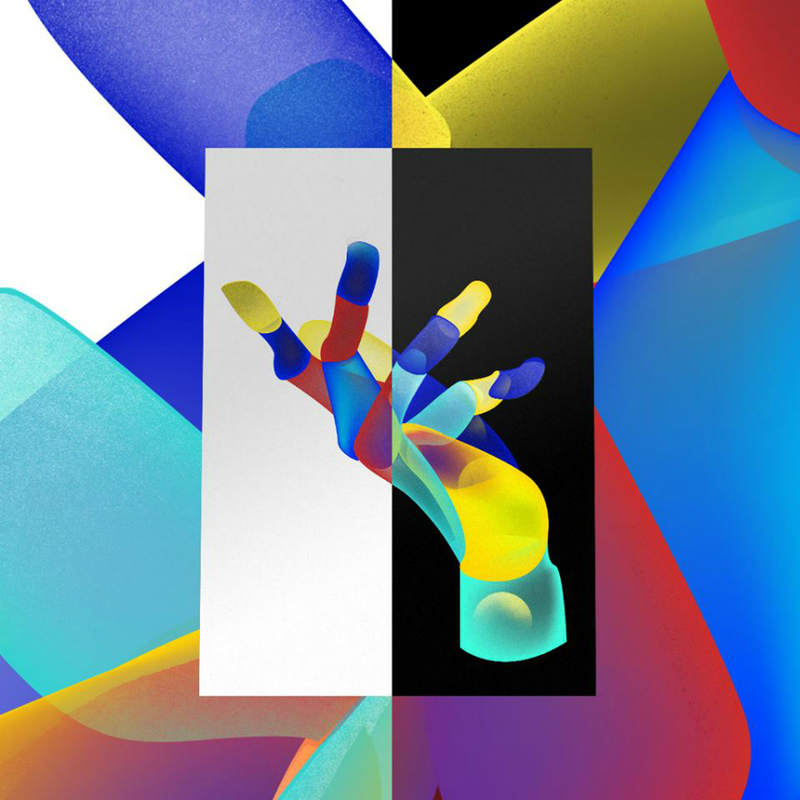 The article is called Design: Eye Candy and is located at https://www.totallydublin.ie/more/design-section/design-eye-candy/. As festival season gets into its stride, a number of creatives detail how they will be enhancing our onsite experiences. It’s that time again, when music fans across the country venture out to enjoy festivals across the city and country and further afield. 2018’s summer calendar is action packed. Step forward the creatives working at each step of that journey, hugely talented people breathing life, creativity and energy to festival brands and their associated visual communications. Those framing and enhancing the experience onsite and those innovating and challenging what’s gone before, engaging and inspiring people in ever more interesting ways. CIAN RYAN is an illustrator and designer working on All Together Now and Bulmers Forbidden Fruit. When designing something unique for festivals where do you start? I think you have more scope to be experimental and to draw on people’s emotions. People look forward to them all year and I hope to give something that creates an air of wonder about what the weekend will have in store. You want to build as much hype as possible and also leave a slight air of mystery about how it will all play out. I start with exploring the possibilities of the theme of the event, then try to find ways in which to capture imagination but also deliver information while trying to avoid clichés. What are you responsible for designing with All Together Now and other festivals? For All Together Now I was taken on from the initial conception of the event, as it was in its augural year. It’s been pretty exciting to work on. We started working on finding the right tone of voice through the graphics which went through loads of iterations. My responsibilities lie in creating a coherent visual identity for the festival through type, shape, colour and emotion. That spans everything from the sitemap to the toilet sign from the website to the wristband. I have tried to base as much as possible on basic shapes found in the logo and use this as a framework to experiment. Things like this keep the job fun. It’s a lot like a personal Lego set that I can push around. 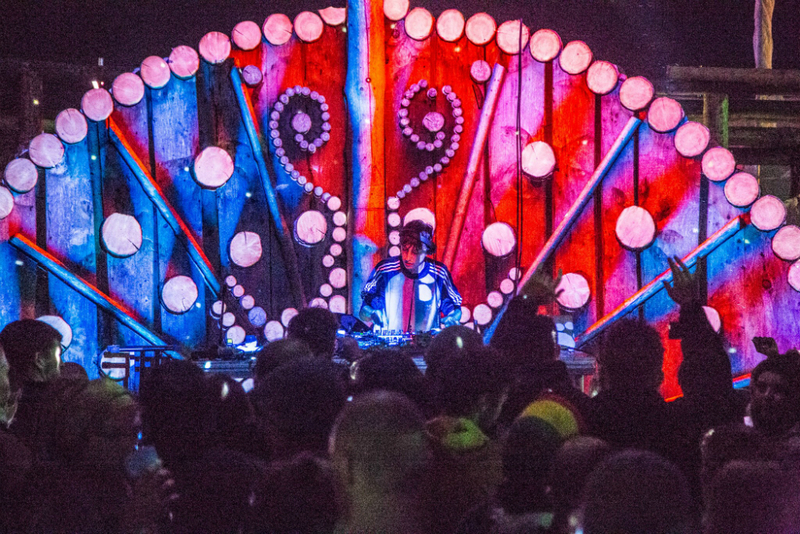 What’s been the biggest festival highlight, creatively, so far? The biggest highlight so far has been the collaborative process that’s involved with the job. Working with music promoters or cinematographers to create a collective vision has been really rewarding and has taken me out of my comfort zone. I enjoy working with other people from a variety of backgrounds as the results tend to be unexpected, which creates more possibilities. It helps to have some loud voices in the room from time to time. What does the future of festival creative look like to you? I look forward to seeing the possibilities of new tech in this space. As technology increasingly becomes more important to us, I feel it will begin to integrate into the collective experience that is the music festival – whether that’s for better or for worse remains to be seen. Maybe within my lifetime, these events will be experienced from the comfort of your own home. At the moment it is an interesting space to work in as it allows for experimentation and I find festivals to be forward facing events generally. Music and the arts help us look to the future with wonder and I hope festival creative will continue to follow that lead. 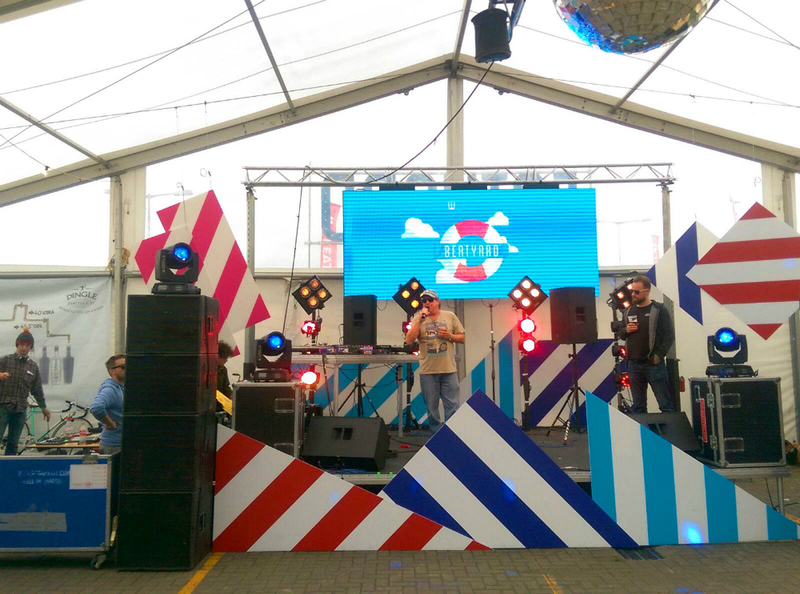 KIE CAREW is a designer working with Bodytonic on Beatyard, Eatyard and their upcoming World Cup activities. 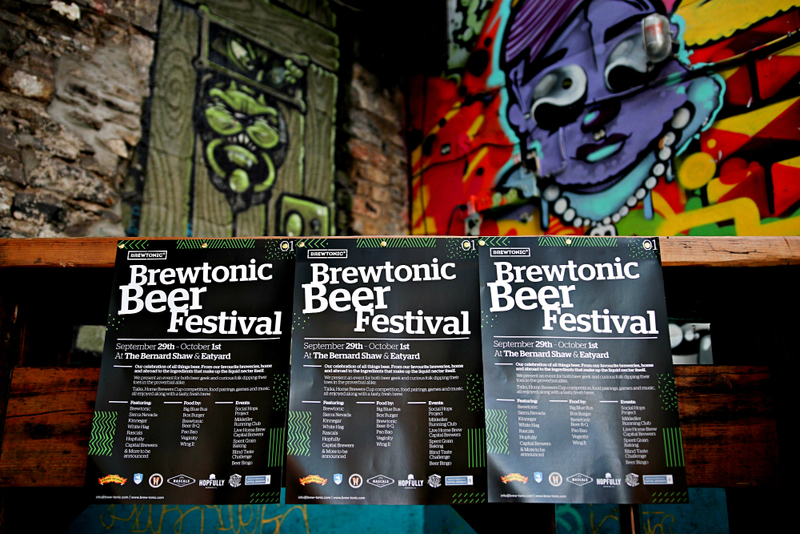 For the Beer Festival which took place in Eatyard and The Bernard Shaw I wanted to use it to cement a new brand identity that I had developed for Brewtonic, our craft beer division. It was a development over time to showcase the new look of the brand. What are you responsible for designing with Bodytonic and its various festivals? At the moment I work on items for The Back Page, The Square Ball, The Shaw Cafe and Wigwam restaurant and basement gigs as well as Brewtonic, our Craft Brewing division. I work with chefs, bar managers and promoters to create posters, videos, visuals, menus, signage and way-finding, environmental graphics and loads more. How do you want people to feel when they see or interact with your work? I would like to create a sense of ambiguity if possible, to make the viewer take a second look, to interpret the work, rather than just spoon-feed the message. I love seeing how a festival is designed across many different platforms – print, online, and in the venue – and the consistent application of the identity, but am also probably more interested when I see design that is not afraid to break the identity rules, and not be so rigid and precious about design. It should be fun at the end of the day. It doesn’t have to be branded to within an inch of its life all the time. 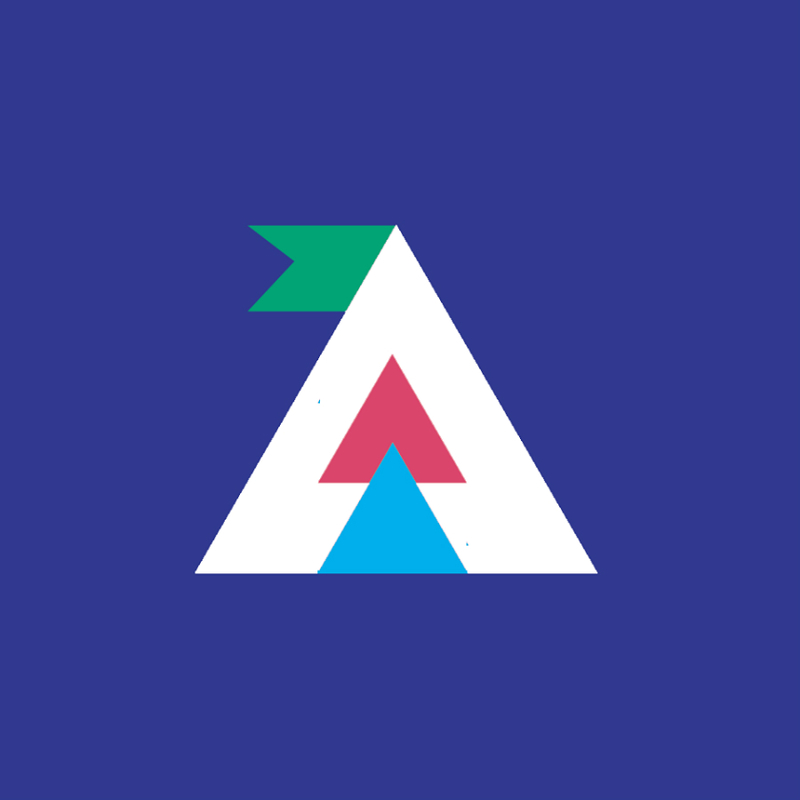 ALGORITHM are a multi-disciplinary creative studio and production team who work across festivals including Electric Picnic, Body&Soul, Metropolis and more. Kevin Freeney is their creative director. When creating something unique for festivals where do you start? Festival design is all about marrying high concept artist practices with functional, safe, intelligent design. To create a successful piece you need to have a good understanding of both approaches and bring the two together in unity. Our R&D team are always documenting what inspires them and what new technologies or techniques can be employed to keep us ahead of the technological curve, a huge part of our business. Mood boards are always the first port of call for us – even when we are creating artwork in house. This might not be the most exciting first step but with festivals it’s usually a collaborative process or we’re given a budget and a theme to come up with something interesting for the festival. After this we’d start to develop a design that fits the bill, bearing in mind something that will look good as a static piece during the day but which also has the flexibility and versatility to be able to properly embellish the music and progress alongside its twists and turns. Weaving our visual performances into the musical experience is very important to our visual operators, our clients and most importantly the audience themselves. We have been known for creating site-specific work, and often we have found great inspiration when restricted by certain parameters. 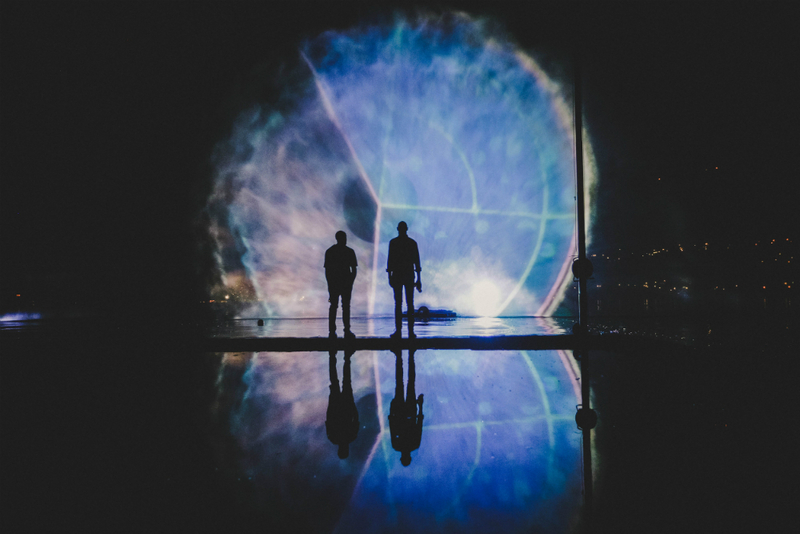 This is hugely important when designing interactive installations where crowd flow, ambient sunlight and background noise can have a dramatic effect on the outcome we’re able to achieve. Trying to replicate the most extreme conditions we’re likely to encounter is a big part of the design and testing phase of interactive projects, and not always an easy task when sunlight or big crowds are in short supply. On the production side, you start by collecting together all the available information, exploring your locations and deciding what the desired effect of the piece will be. What is the goal? What emotion are we trying to create? What is going to work in this space? Once you have a good understanding of these, it’s easy to use a process of elimination to pick materials, design construction methods and land on your final installation. Waste is something we always try to keep to a minimum, so we always try our best to reuse materials and structure as best we can. What are you responsible for designing at various festivals? 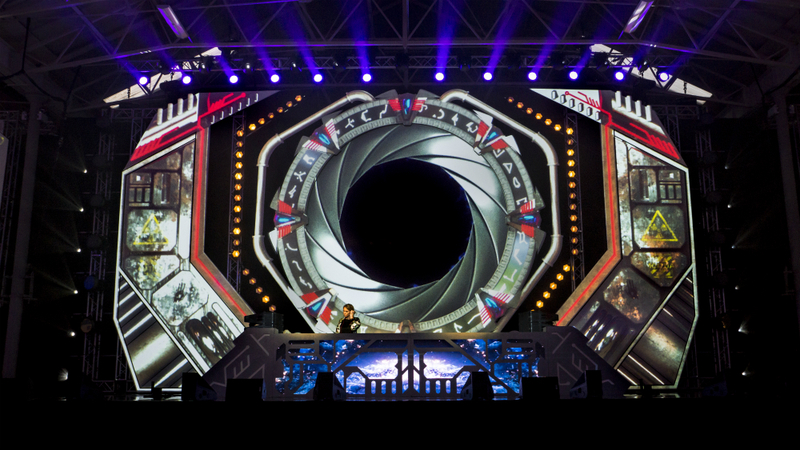 In the past, Algorithm has worked on scenic design, projection mapping and live visuals for festivals. We’ve also produced films for the likes of Body&Soul and Electric Picnic. This year we have expanded our studio to work in the fields of graphic design, interior design and interactive installations. Most recently we designed the entrance to Rolling Loud Festival in Miami. We’re delighted to be working on projects at some of the biggest festivals in the world, but it’s really important for us to respect our roots and give a lot to the smaller festivals like Open Ear, Another Love Story and Drop Everything. These festivals give us a huge amount of creative freedom and a crowd that’s engaged in what we do which is always nice. Dance? Relax? Gaze? It’s an interesting question because a lot of the time we are the ones that are interacting with the work. With our visual and projection mapping shows we’re always cutting and editing video in real time. We hope to inspire a sense of awe and wonder in people, the ideal is a viewer staring at a piece in disbelief of what they are seeing. A huge part of what we do is transform physical spaces into radically different experiential spaces. In general, if we can get people’s heads to argue with their eyes about what they are seeing then we’ve done a good job. 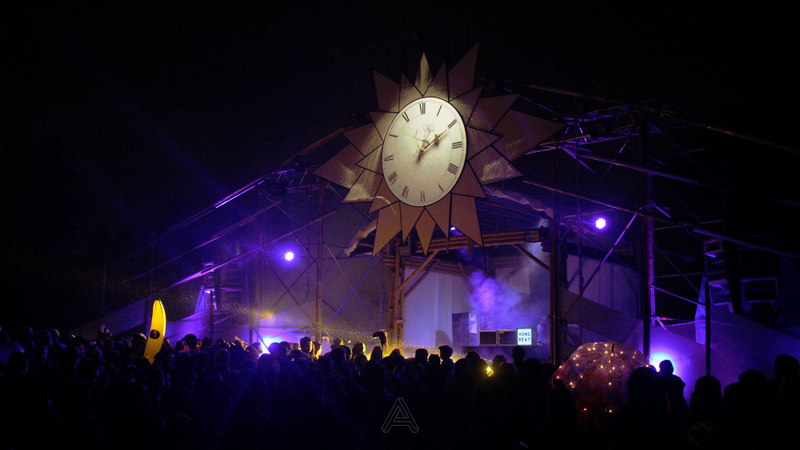 One of the most beautiful things about illuminated pieces in a festival stage setting is the attention they command after sunset. What was an interesting backdrop or sculpture in daylight becomes a landmark by which to navigate the experience at night, and around which to congregate. Well obviously we’d love to see more experimental and innovative uses of technology and visual art at festivals across Ireland. It’s these spectacles that can set a festival apart. We’ll often travel to see the most impressive setups, rather than just to see the big headliner. We think the future of festival creative will be focused towards the audience’s experience rather than the line-up.